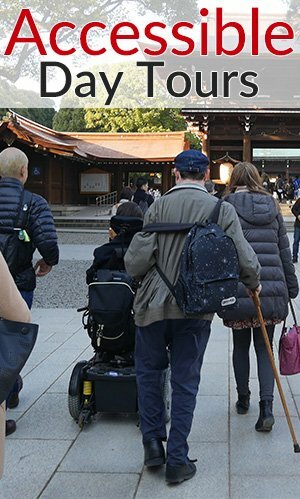 Located next to Tsukiji Fish Market, Tsukiji Honganji Temple is a completely wheelchair accessible temple that blends many different types of architectural styles. 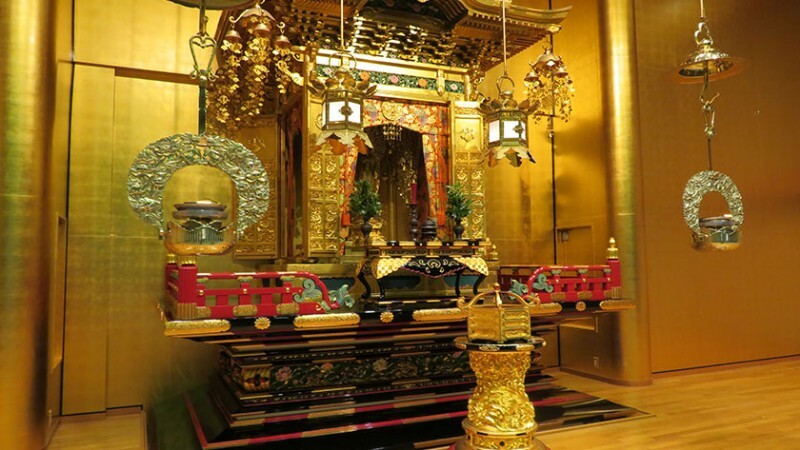 The original Tsukiji Honganji Temple was built in 1617 near Asakusa and was first known as Edo-Asakusa Gobo. 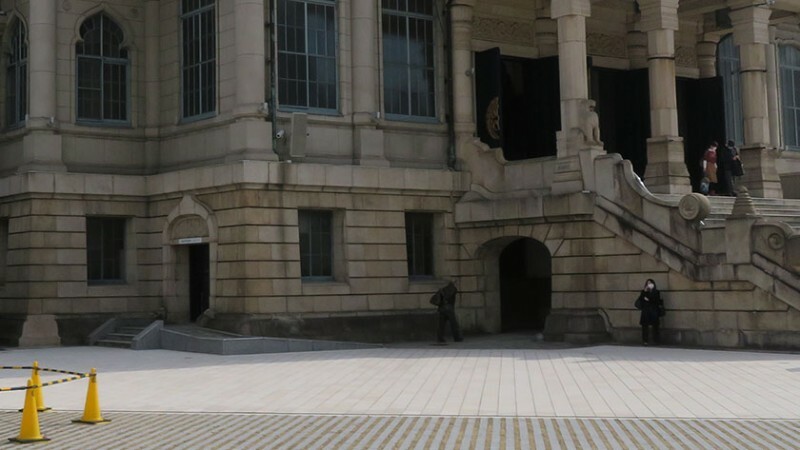 After burning down in a great fire that claimed much of Tokyo (then called Edo) in 1857, the temple moved to a new piece of land by the Sumida River, reclaimed by Jodo Shinshu followers, and became known as Tsukiji Gobo. The name Tsukiji means “reclaimed land”. 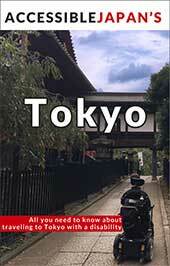 The temple was once again destroyed in the Great Kanto Earthquake of 1923. 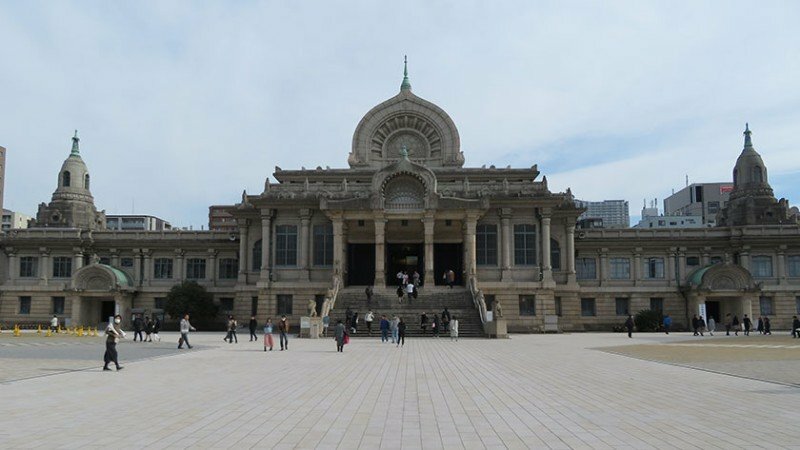 Now known as Tsukiji Honganji, the current building was designed by Ito Chuta from the University of Tokyo and completed in 1934. The building combines many different cultures and styles in its design. The exterior was based on an ancient Indian style and combines Buddhist, Hindu and Islamic architectural styles, while adding wide stairs reminiscent of Greek and Roman architecture. 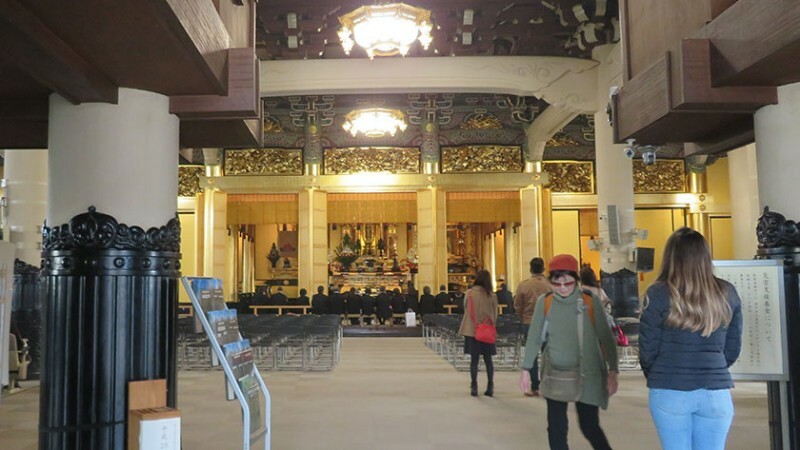 The main hall has Buddhist statues placed on the altar in the typical fashion, but also a pipe organ from Germany. 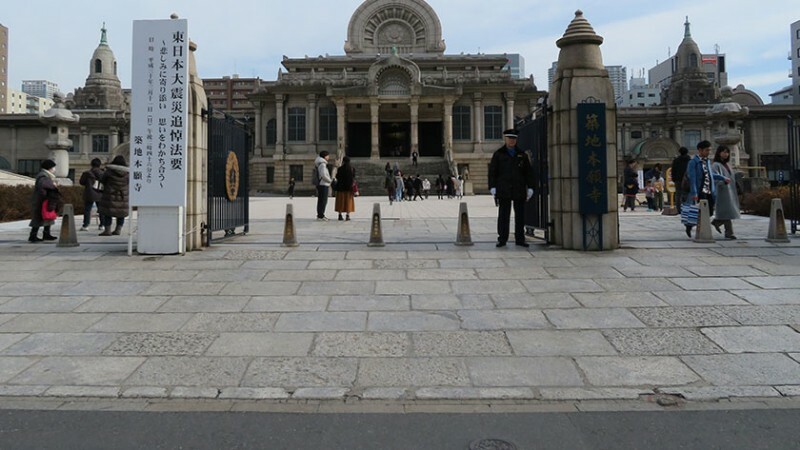 Tsukiji Honganji is a pilgrimage destination due to its artifacts of Prince Shotoku, Shinran Shonin, and Shonyo Shonin, but also features a memorial to X-Japan band member Hideto Matsumoto (known as “hide”) whose funeral was held in the temple in 1998. 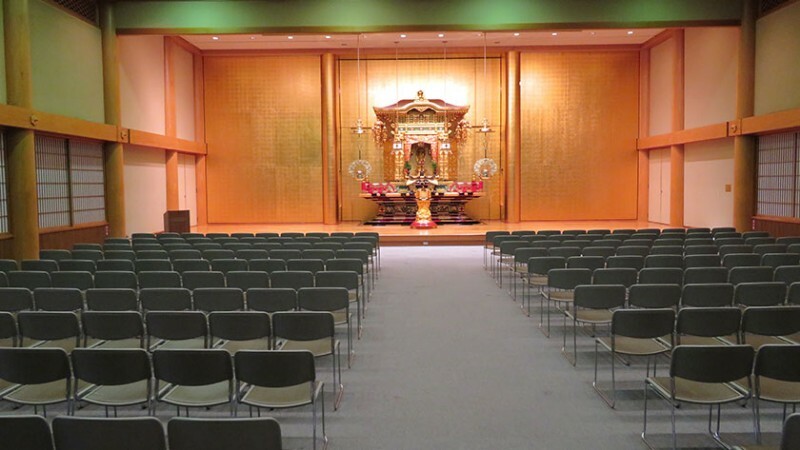 The temple is free to visit daily from 6:00-17:30 (6:00-17:00 from October to March). Please keep in mind that the temple is frequently used for services including funerals, so please respect the bereaved. 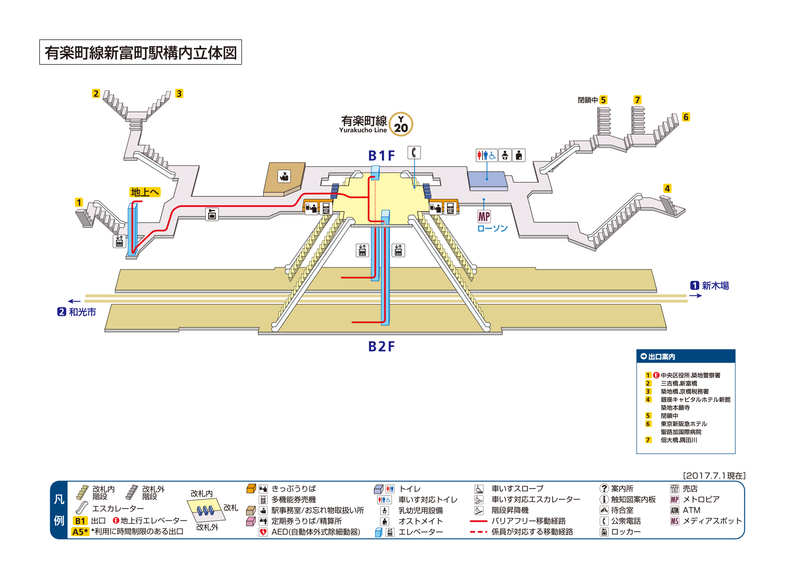 Tsukiji Honganji can be accessed by Tsukiji Station on the Hibiya Line, or Tsukiji Shijo Station on the Toei Oedo Line. 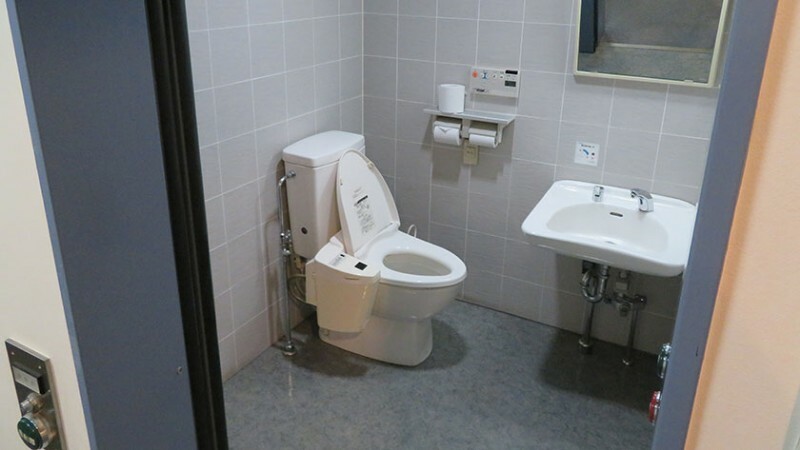 Additionally, Shintomicho Station on the Yurakucho Line or Higashi Ginza Station on the Asakusa Line can also be used to access the temple. 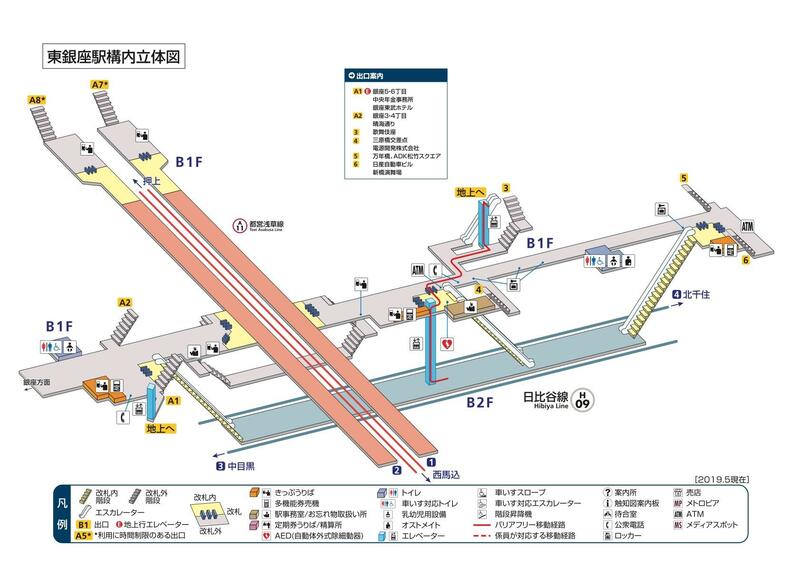 All stations are wheelchair accessible, click on the station name to see the station layout. 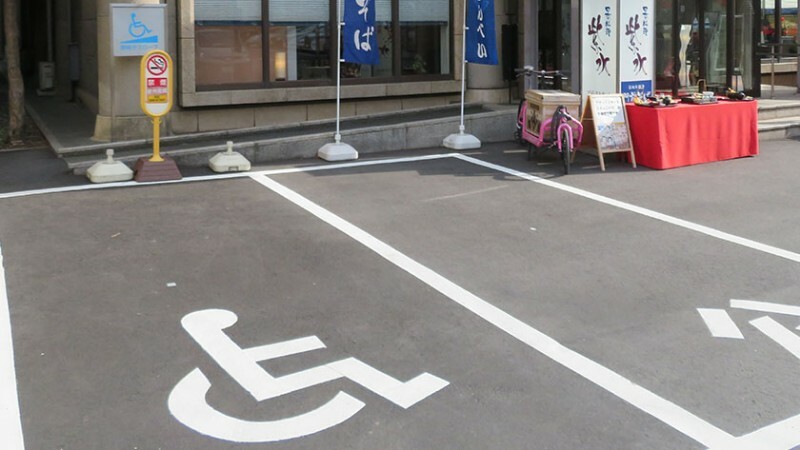 The temple grounds and buildings of Tsukiji Honganji are completely wheelchair accessible. The path to the main gate is a bit bumpy, but once on the grounds, everything is very smooth. Alternatively, the smaller west gate (right-hand side when looking at the temple), has a smoother entrance. 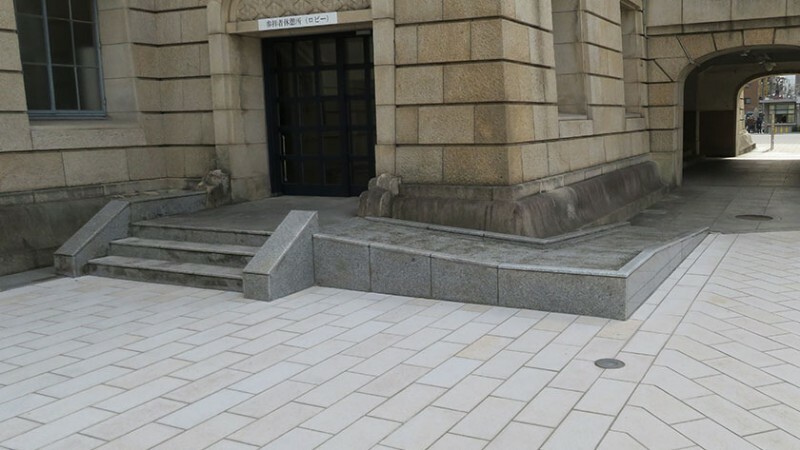 The main building – Hall of Amida Buddha – may not look wheelchair accessible but there is a ramp just to the left of the main stairs. 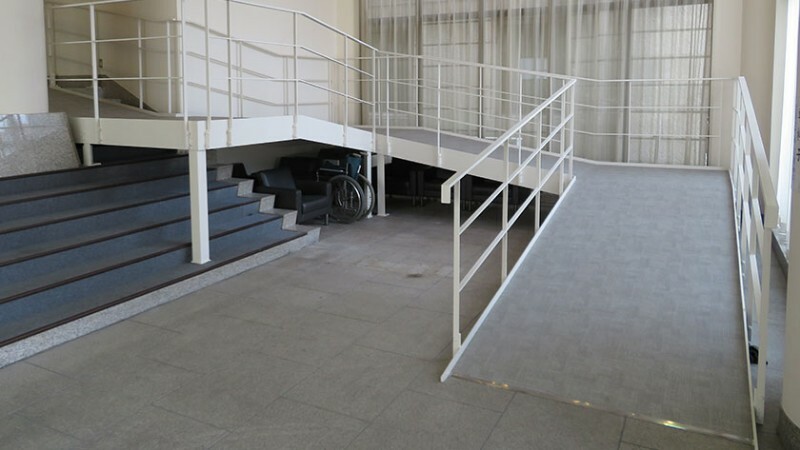 The ramp leads to an automatic door to a reception area. 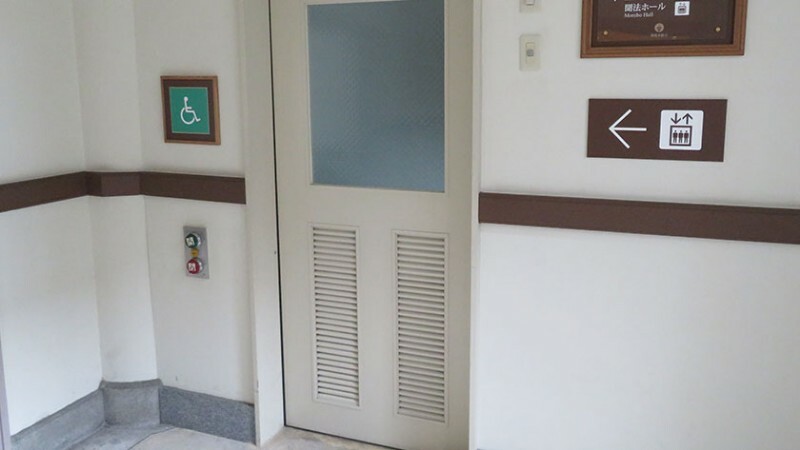 Going through the next automatic door and heading to the left, wheelchair users can take an elevator to the main hall. There is a slightly steep ramp from the elevator to the main sanctuary. 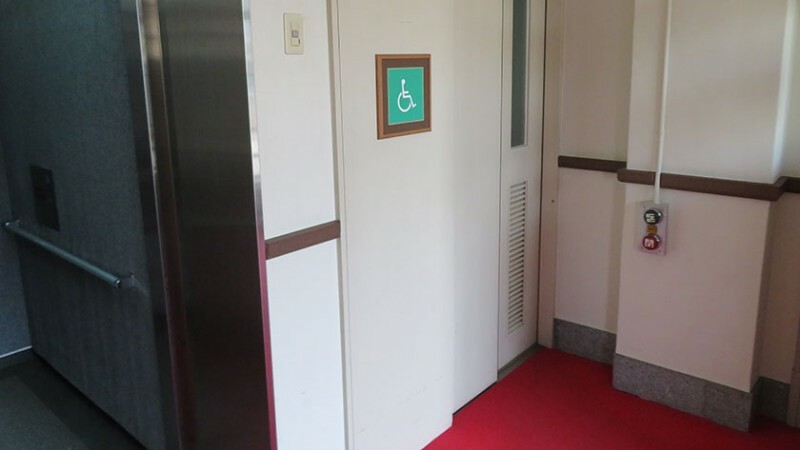 In addition to the main hall, all of the other buildings are completely wheelchair accessible. 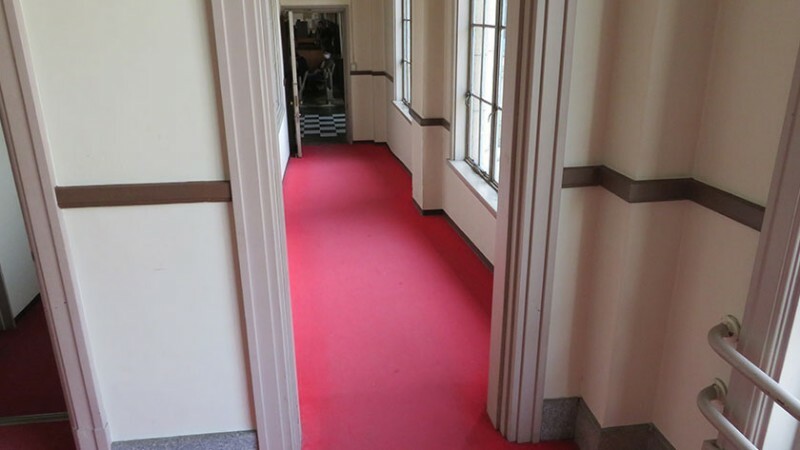 However, the ramp inside the building to the left of the main hall is a bit steep. 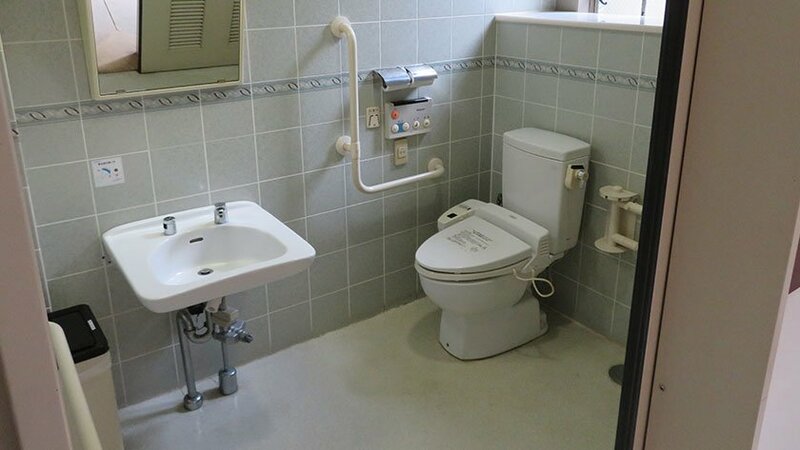 All of the buildings have wheelchair accessible toilets available and well as wheelchairs that may be borrowed as needed. 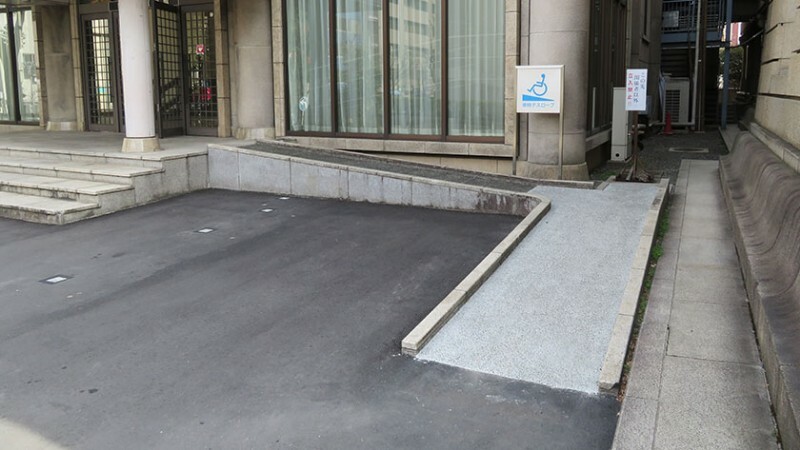 While Tsukiji Honganji isn’t at the top of most guide books, it is certainly an interesting building from an architectural perspective and has done a fantastic job of becoming wheelchair accessible. 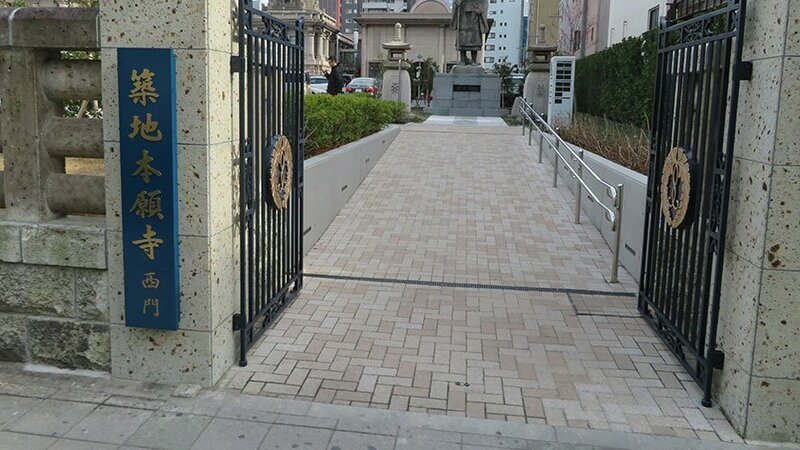 It is located next to Tsukiji Fish Market and can be a great place to visit in combination with the market. 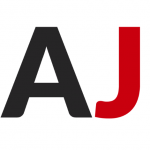 Leave your questions or comments about Tsukiji Honganji here!